Wrestling may be fake, but the massive personal fortune of WWE founder Vince McMahon is very very real. After spending a few years off the list of the 400 richest Americans, this year he has catapulted back up, thanks to a $1.6 billion increase in his net worth, leaving him with a net worth of $3.8 billion today. WWE's stock more than tripled in the year ending September 7th. McMahon owns 57% of WWE. This is a great turnaround for McMahon, who has had a rough time of late. He passed up on buying the UFC back in the day for $20 million, famously because he didn't want to get involved in a sport where he couldn't predict the winners. His loss was the Fertitta brothers's gain. We all know what happens there – they made billions when they sold the mixed martial arts franchise to talent agency WME. Vince McMahon Jr. has come a long way since his childhood. He was born in North Carolina in 1945. When he was a baby, his father left, and he had a revolving door of stepfathers in his life. Unfortunately, several of them were abusive to Vince and his mom. When he was 12, Vince met his birth father, Vince Sr. and discovered that wrestling was in his blood. His dad was a promoter for Capitol Wrestling Corporation. The CWC was actually founded by Vince's grandfather Jess McMahon. Jess was a former wrestler who went on to become a very successful promoter of wrestling and boxing. The CWC dominated wrestling throughout the 1950s, thanks mainly to the fact that they controlled promoting rights at New York's Madison Square Garden. When Jess died in 1954, Vince Sr. was brought in to run the company. In 1963, Vince Sr. and Toots went out on their own and formed the World Wide Wrestling Federation. The WWWF had a unique strategy to build awareness and sell tickets. First off, the WWWF held events once a month instead of twice a month as was standard at the time. By restricting their events, they were able to build up the hype. Secondly, the two promoters began incorporating intricate plot lines into each of their events. The plot lines frequently featured a slightly smaller baby-faced "good guy" overcoming a large ugly "bad guy". This strategy was fairly revolutionary at the time. By 1970, WWWF events were selling out stadiums up and down the East Coast. After graduating from East Carolina University with a degree in Business, Vince Jr. went to work at the WWWF. His first job was as the in-ring announcer for "All-Star Wrestling". Throughout the 70s, Vince took on more and more responsibility at the WWWF. He quickly proved himself to be extremely talented at running a business. Vince renamed the company simply the World Wrestling Federation. He soon tripled the number of television syndication deals for matches. Vince was formally made Chairman of the WWF in 1980, and bought the company from his father, outright, in 1982. For the next decade, Vince reshaped the face of televised entertainment and the world of wrestling promotion worldwide. The WWF evolved into the WWE and went public in 1999 at a price per share of $17. 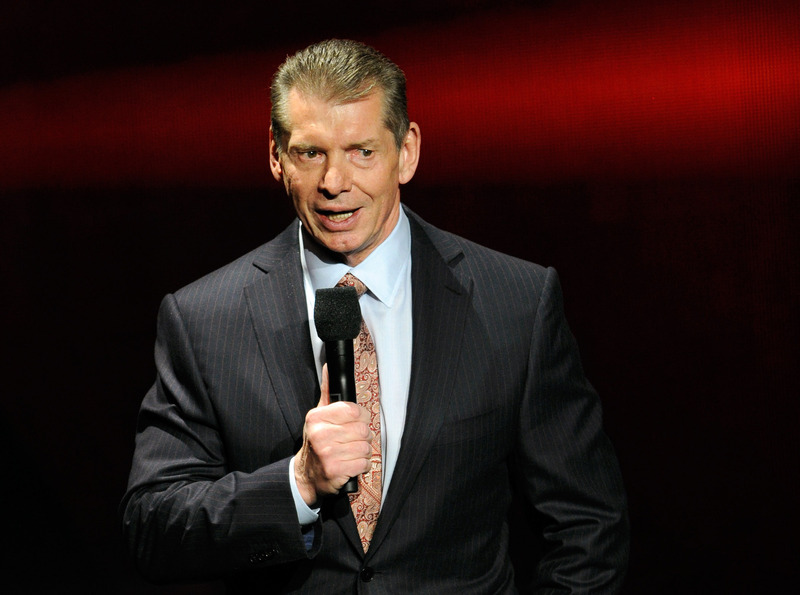 With a market cap of $1.2 billion, Vince's 57% ownership stake was worth $726 million. In 2014, WWE's stock went on a tear thanks largely to its newly launched subscription channel called the WWE Network. The streaming service, which had been in the works since 2011, became available in February 2014. WWE shares shot through the roof. In early 2014, Vince's 57% stake in the WWE, was worth $1.5 billion. However, from March 2014 on, WWE stock took a beating. WWE stock prices tumbled 63% from March to May after the company reported poor results related to their premium channel subscribers and future revenue expectations. With that drop, Vince McMahon saw his net worth cut in half in under two months, from $1.5 billion to $750 million. WWE stock hit a 5-year-low of $10 per share in January 2015. Fortunately for Vince, the stock was down but not out. Business is booming today with record-breaking subscriber rates and a multi-year partnership with the Kingdom of Saudi Arabia. As of today, a single share of WWE trades for $85 and the company as a whole has a market cap of $6.66 billion. At that level, Vince's 57% stake is worth $3.8 billion. Not a bad little comeback!